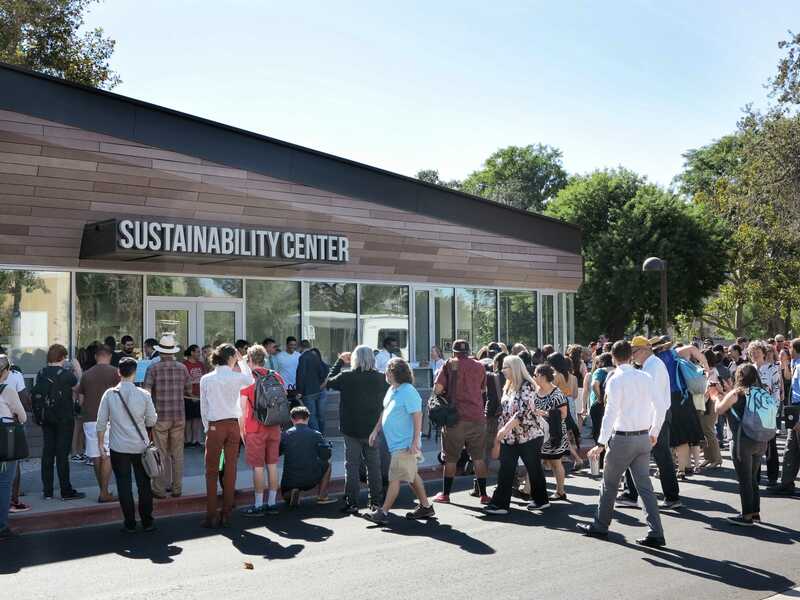 A year after breaking ground, the anticipated Associated Students Sustainability Center had it’s grand opening ceremony Oct. 26, becoming the first California State University with one. 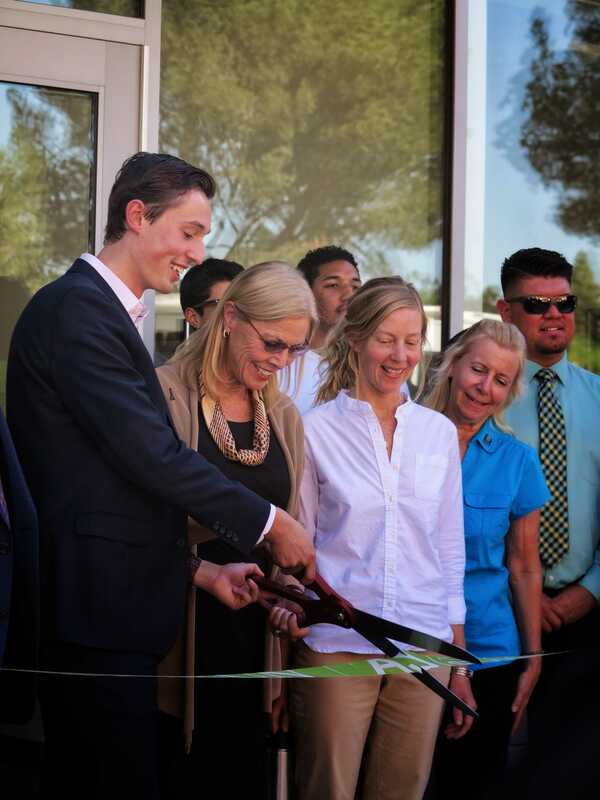 After the ribbon was cut and the doors were opened for the first time, students and faculty were able to walk through and learn about the features and resources the estimated $4.7 million facility offers. 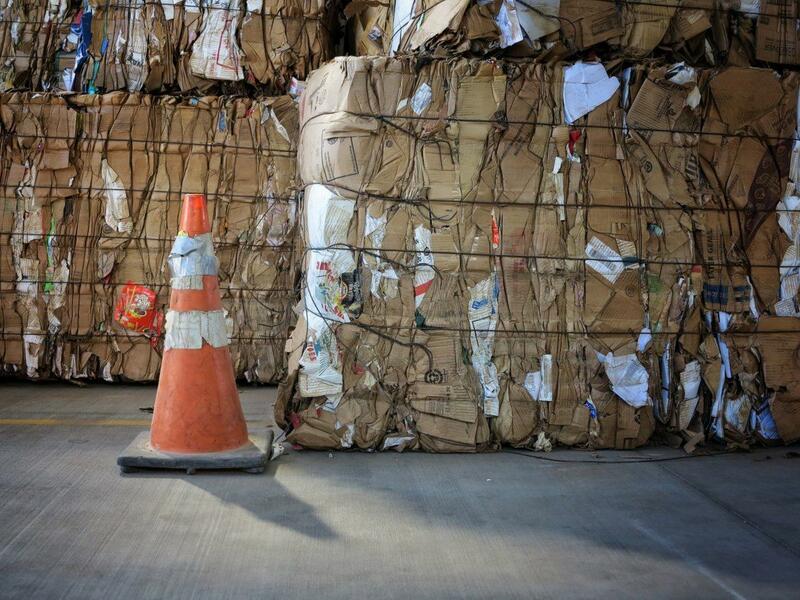 The 10,000 square feet center is zero net energy. Using photovoltaic panels to convert light into electricity, uses solar heated water for sinks and showers, has three composting toilets that require less than ½ cup of water per flush, glazed windows that allow light in but not heat, a water recycling and irrigation system that uses close to zero water, reused furniture and was built almost entirely from reusable materials. This center is a collaboration facility for Associated Students and the Institutes for Sustainability. This center places these two departments into one area, allowing them to communicate and collaborate as one. 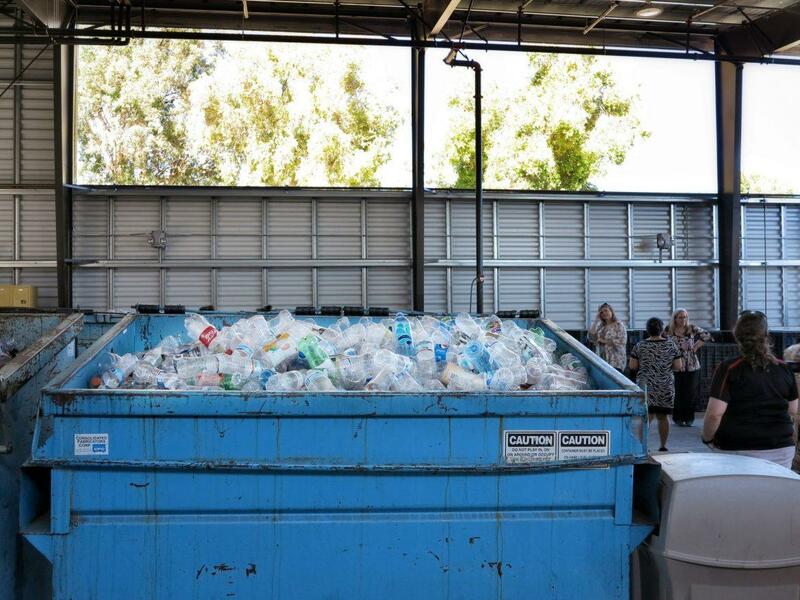 The center will be the central collections location for campus recyclables, home of AS recycling, Institute for Sustainability and a focal point for the campus by providing educational programs and services related to the environment and sustainability. 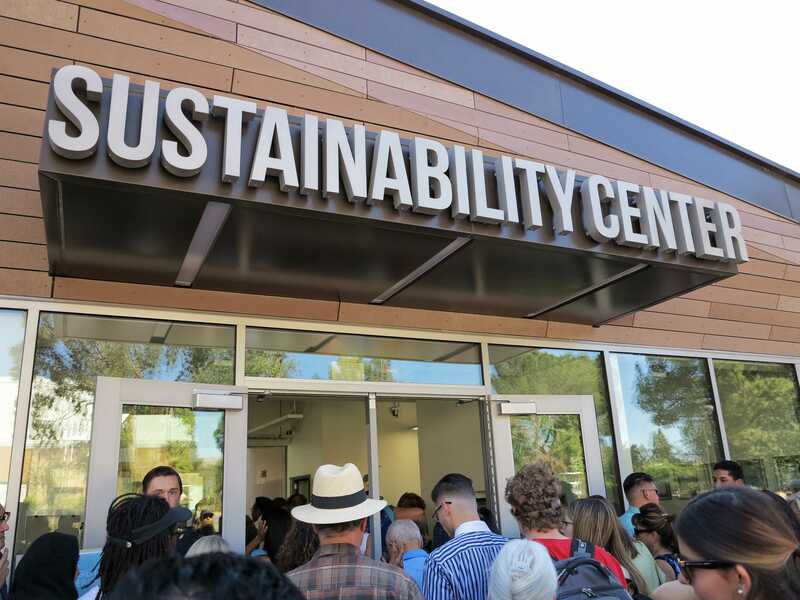 In this facility, they will work to strengthen and expand educational programs, collaborate with departments to complete campus climate action goals and find ways to support faculty and students research projects in relation to sustainability. 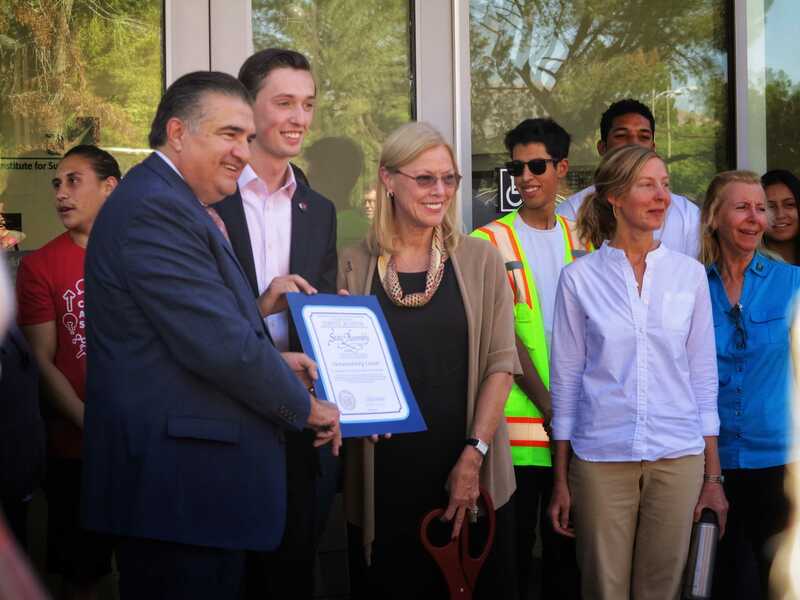 California Assembly member Dante Acosta was at the ribbon cutting ceremony to acknowledge CSUN’s opening of the Sustainability center and to honor CSUN’s sustainability efforts with a certificate on behalf of the state assembly. 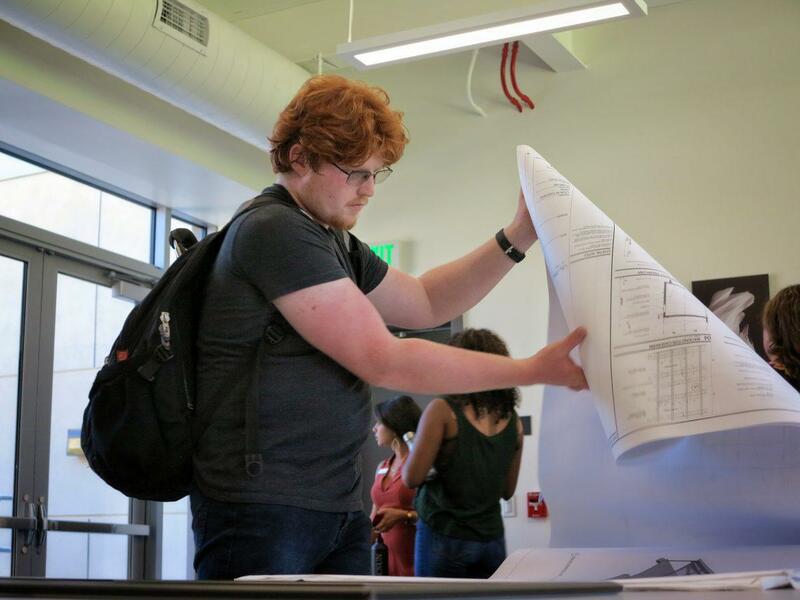 This center will be a place for students to learn about the environment and sustainability, ask questions and apply the practices to their everyday lives.